Monday: Mondays = very often Rjåhornet . Probably the mountain I visit most often during a year. It’s close, it gives me a 600 vertical meter ascent (which I think should be the daily minimum) and there are places I can find shelter on days with surprisingly bad incoming weather. But this Monday was a calm day. 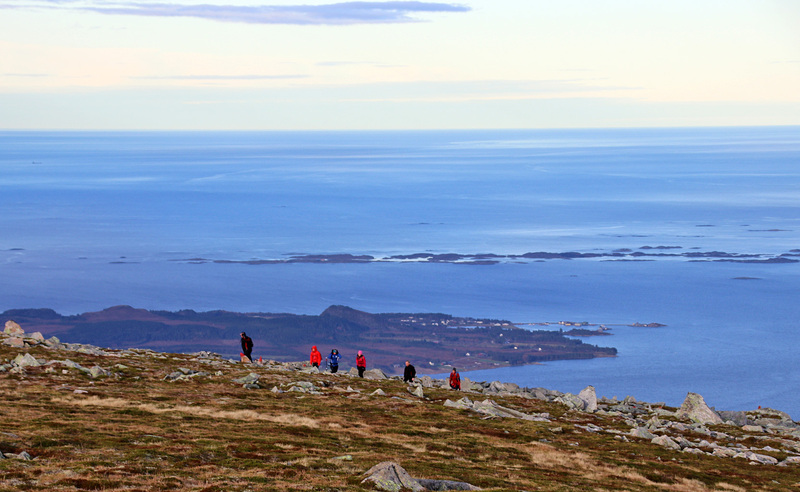 We headed out from Djupvika – one of the 3 trailheads I normally start out from – and reached the top without running into a storm. Down by the meadows between Rjåhornet and Huldrehornet, we took a different route down – along the path I’ve done trail maintenance on, for the past weeks. The ground has dried up. Bridge not really needed today. 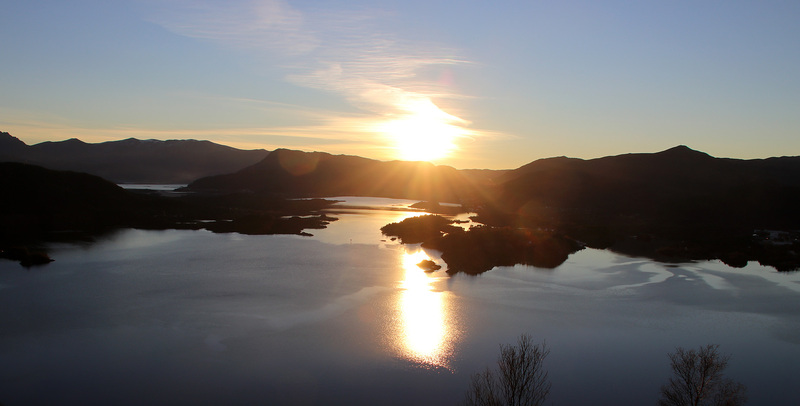 Tuesday: Ålesund day, and after work I drove to Ellingsøya island to visit Storkleiva. 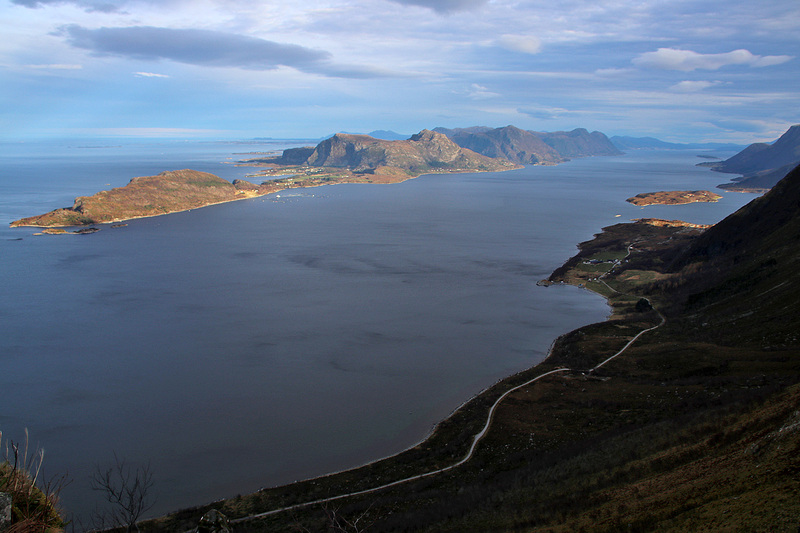 This was a part of Ellingsøya I had never visited before. And If I’m to do a forest walk, I’d like to have some sort of “top” to log the hike on. 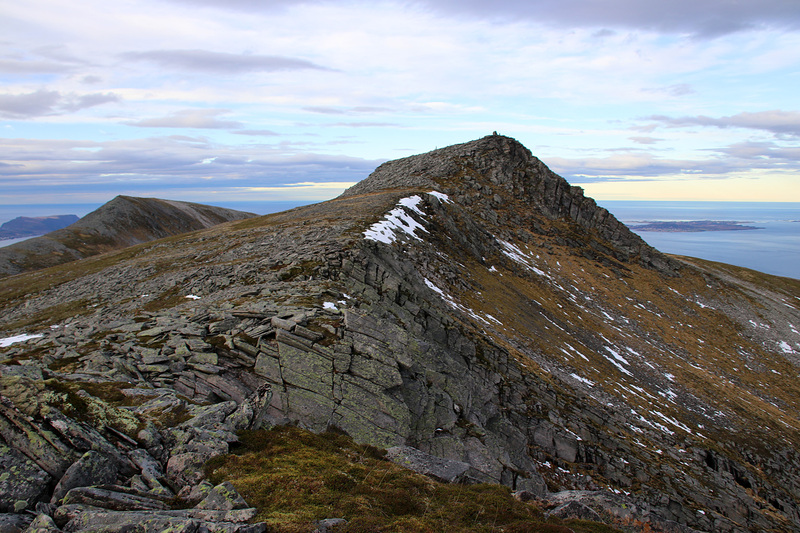 Storkleiva, being the highest point on this walk, became the “top”. 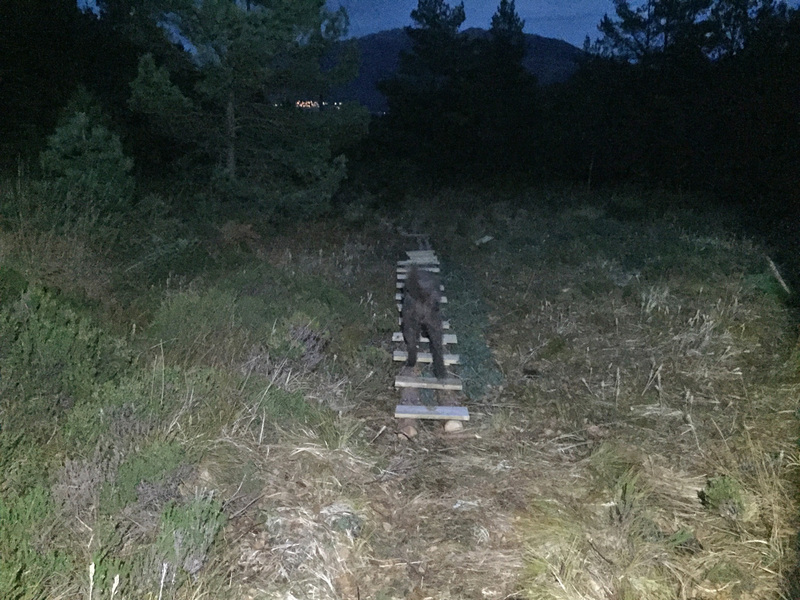 We started out close to Årset, and followed a tractor road northbound until I decided to go east on a forest path that appeared in front of us. 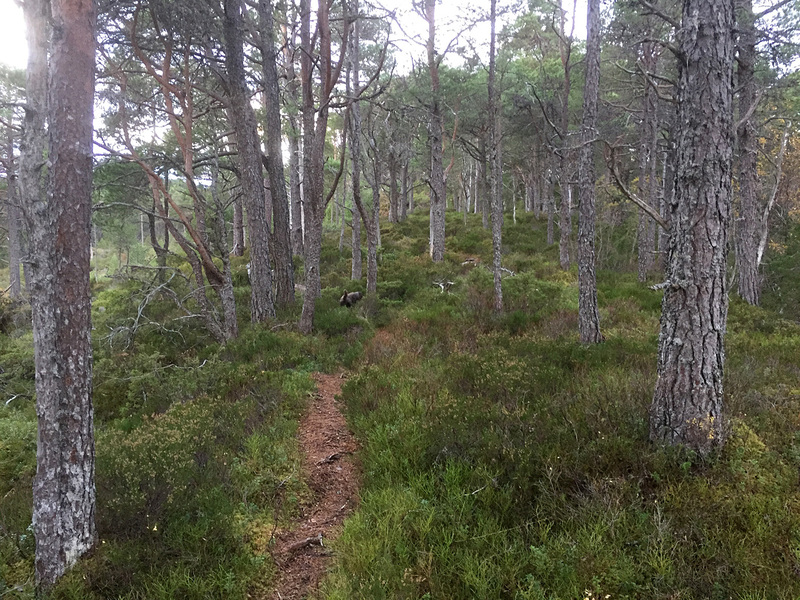 This forest path – narrow but still visible – led us to Storkleiva. 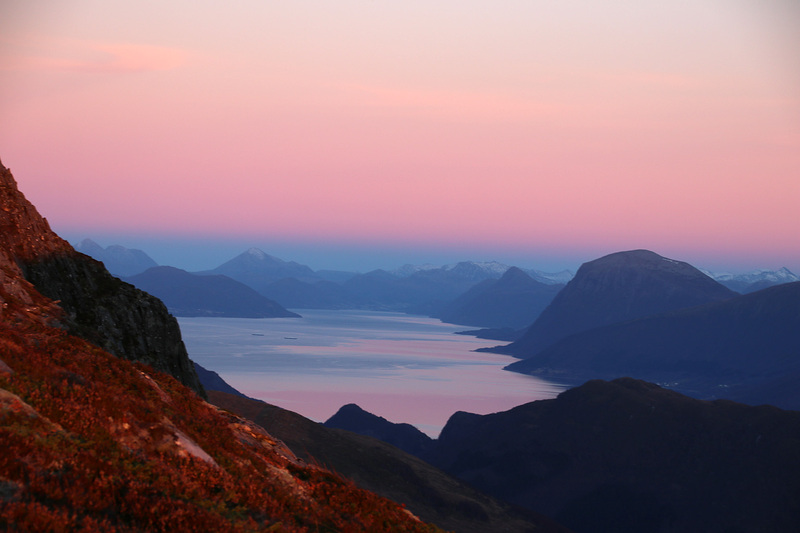 I normally choose a round trip hike over up and down the same way, so we followed the path to a forest ridge above Trollneset. We found a cabin there, and behind the cabin, I noticed a vague forest path that took us to the pass between Vikanakken and Storkleiva. From the pass, we followed a wider forest path eastbound, which took us down to the main road pretty close to the trailhead. 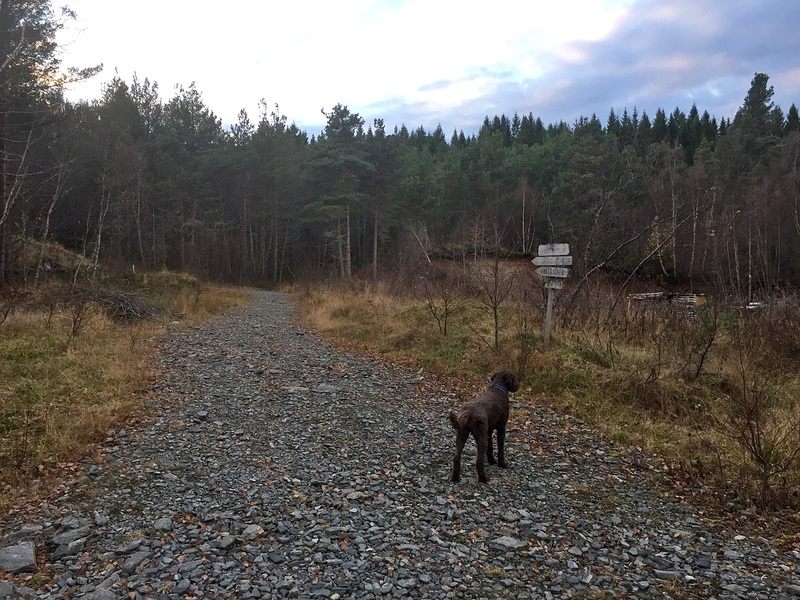 We walked alongside the road (still in the forest) for 200m before reaching the car. A nice forest hike, it was! 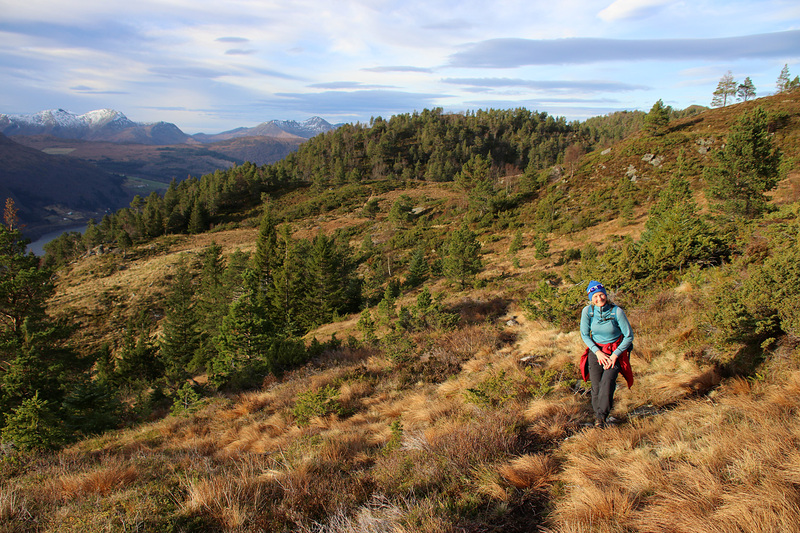 Wednesday: Another working day in Ålesund, and on the way home, I stopped on Sula island to hike Solavågsfjellet. 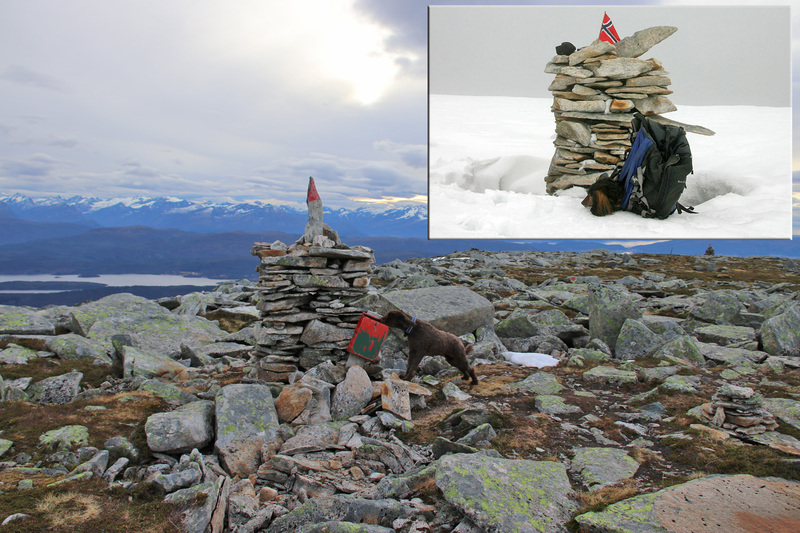 The difference between now and February, was that there was no snow, and we had no problems following the forest path up to Solavågsfjellet. What was new, was that this time, I discovered a path (eastbound) that I’ve never seen before. 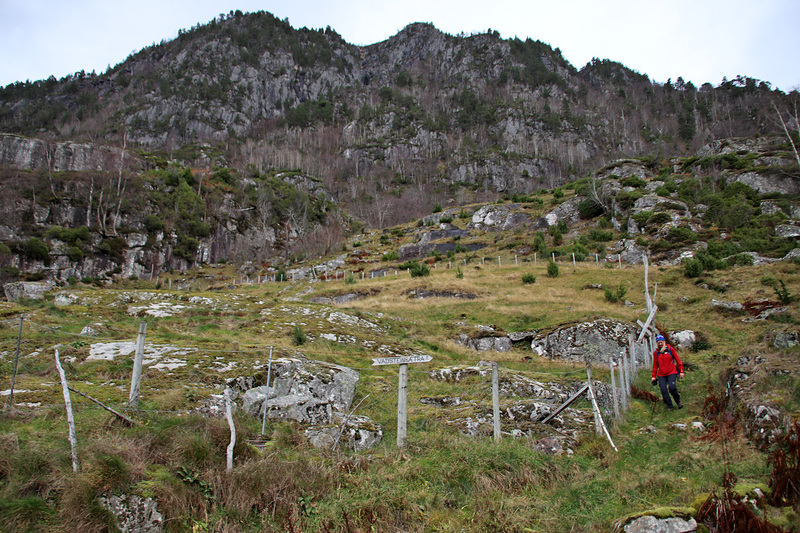 This path took us down to Solavågen – only 0,4km north of where I parked the car. Perfect! 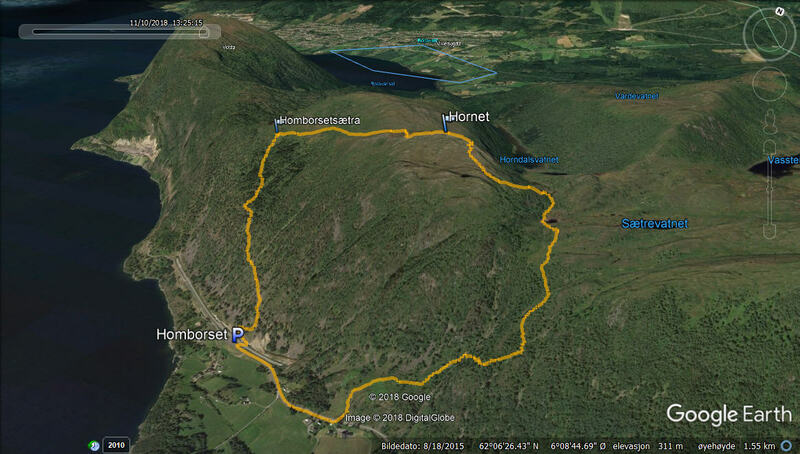 This will definitely be my new round trip route whenever I want to visit Solavågsfjellet, aka Trollhaugen. 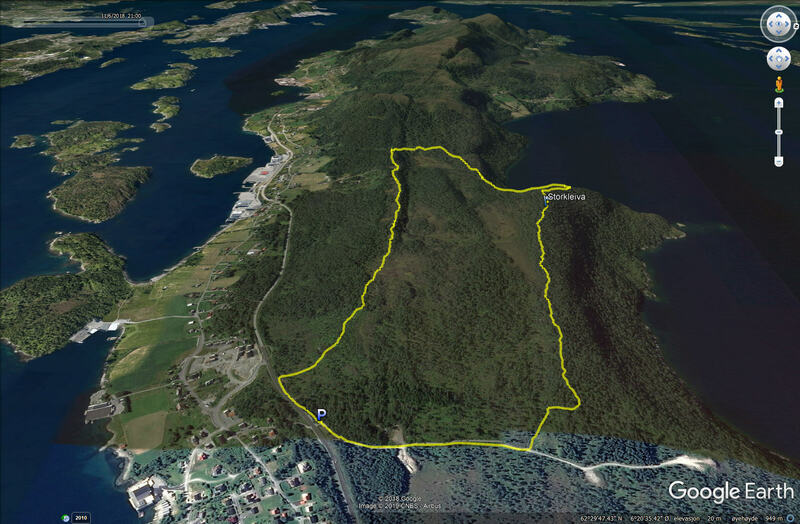 Still, being a fool, I decided not to go for the longest walks, and this 5,4km walk across Hasundhornet was “nothing”, really. Friday: At this time of the year, daylight was scarce after work. 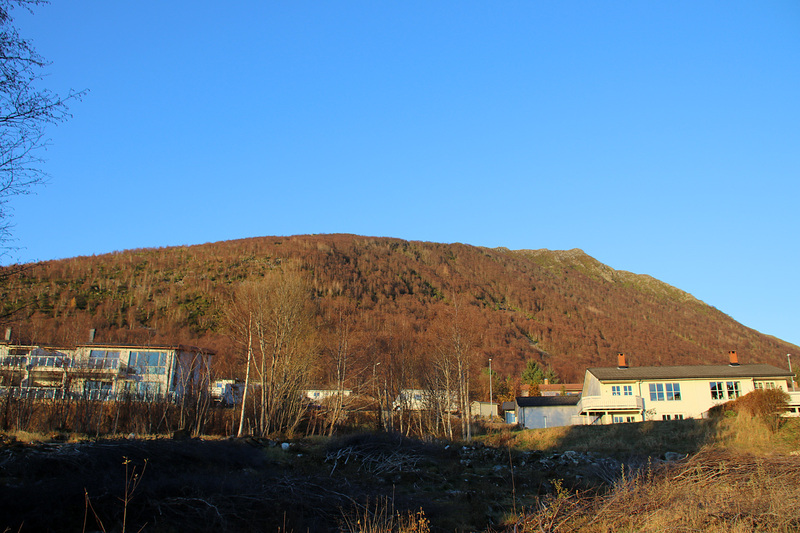 When I logged off work, the sunshine painted a beautiful color on Garnestua’s southwest ridge, and so that’s where I wanted to go. 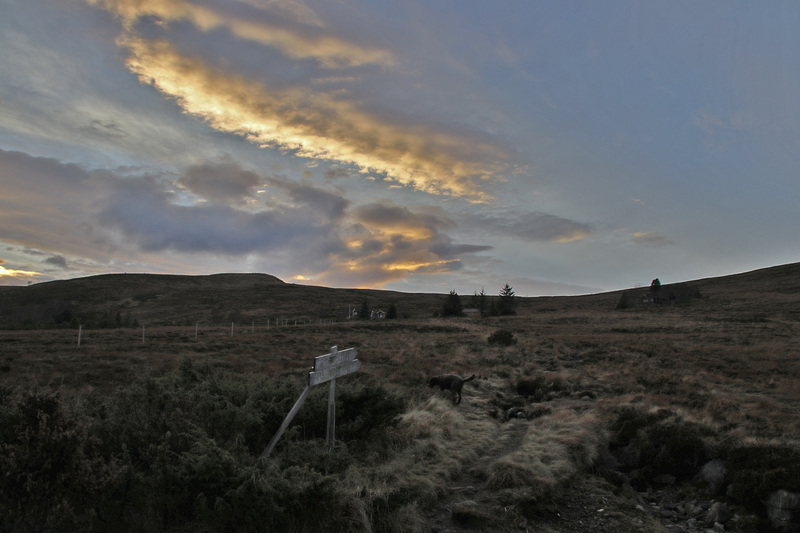 I parked at Ytre Haddal and followed the ridge route upwards. I kept a good pace, to maximize time spent in sunlight. The sun went proportionally down to my vertical gain. It was a really nice hike. The sun disappeared by the time we reached the top, but that didn’t matter. I got the sunny ascent. 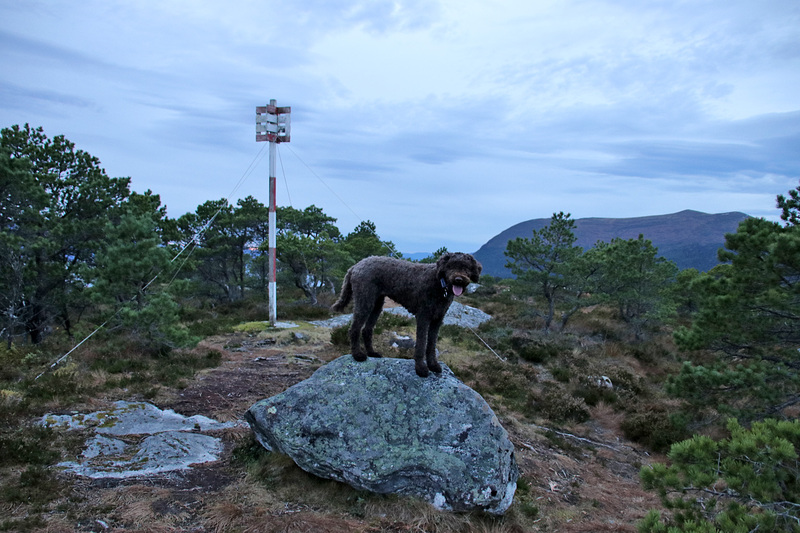 Another nice hike “in the bag”, although I was limping down because of knee pain. I would surely get better in time, just not today. 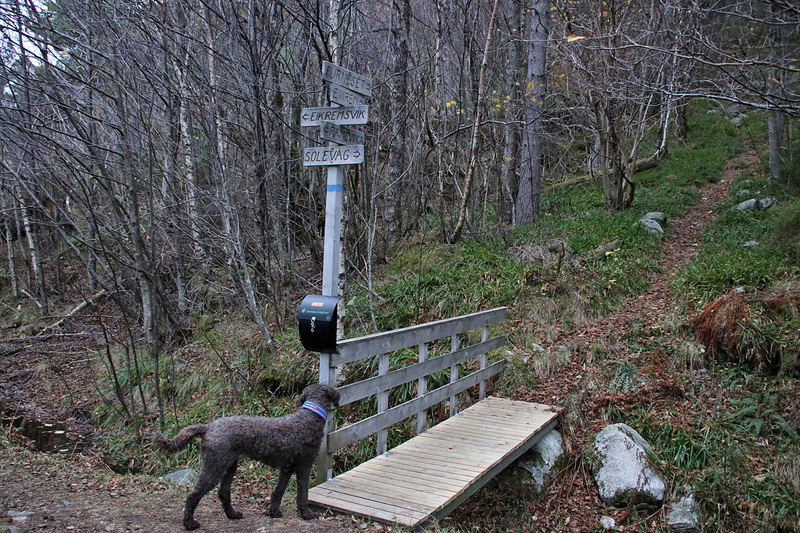 And when I returned to the trailhead, Anne was just down the road, coming from Sogndal to spend the weekend up here. Perfect timing. 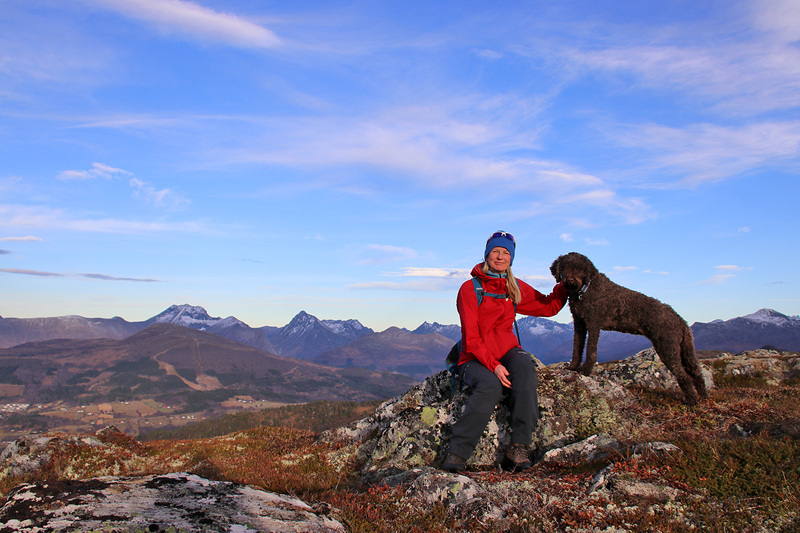 It didn’t feel wrong to get spoiled with a good dinner and some good wine after this hike! 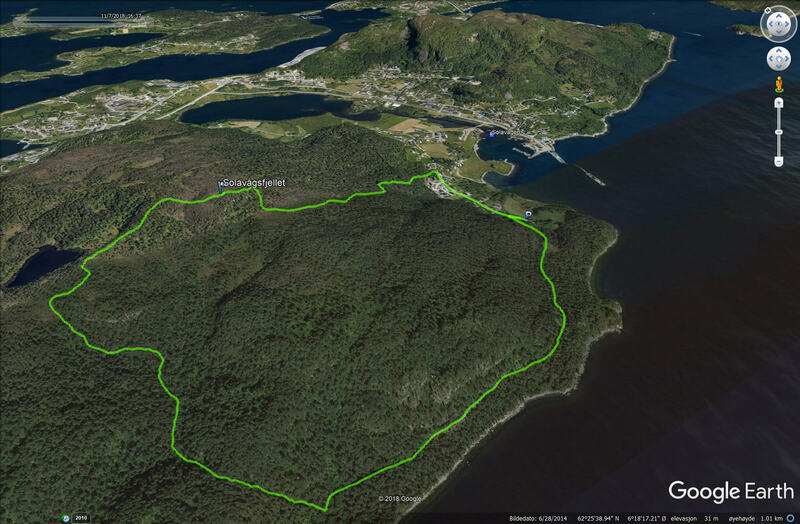 Saturday: Great weather, and I invited Anne to a hike along a route I recently discovered – and that I really, really like: the round trip route across Hornet from Homborset. 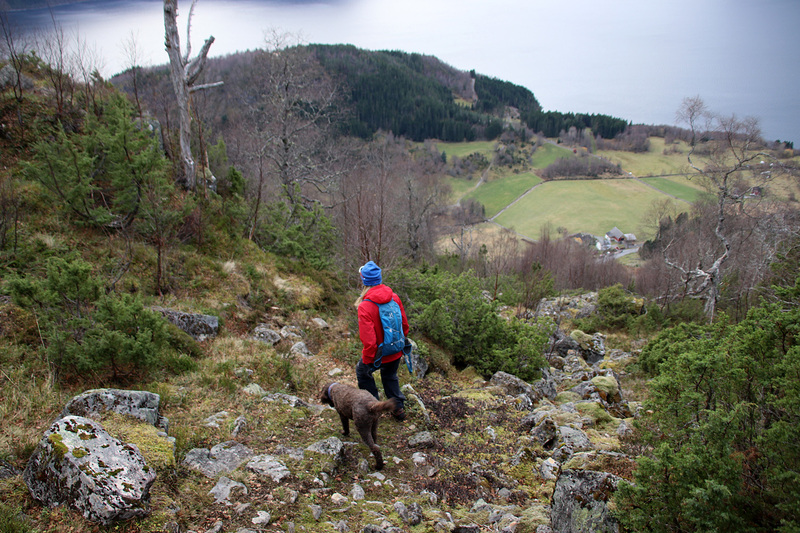 A nice mountain path takes you up to Homborsetsætra. I guess this used to be a mountain dairy farm in the old days. Why else would they put so much effort into the path? 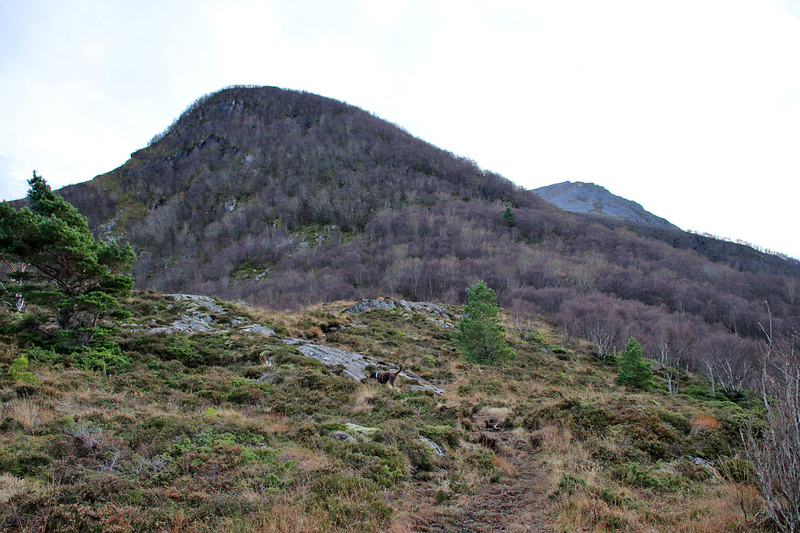 After a steep beginning, the path levels slightly out as it traverses the mountainside and enters the forest below Homborsetsætra. 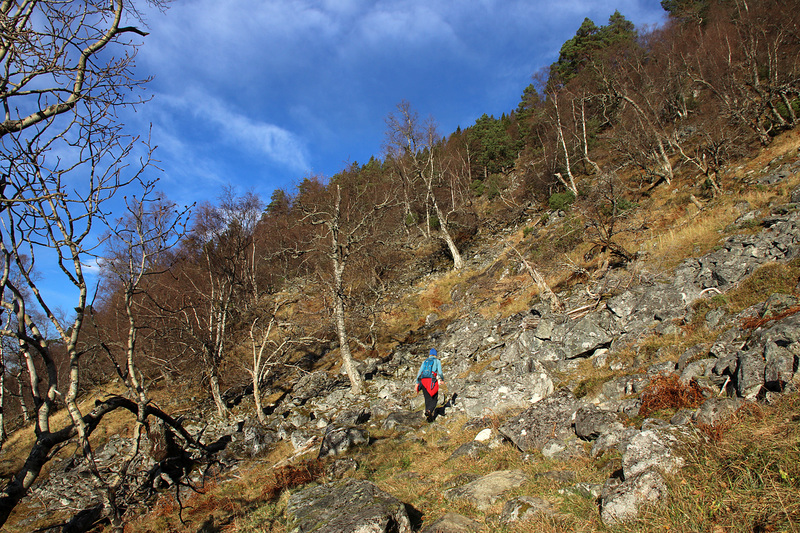 Then we followed a path from the cabin and up to the pass between Heidane and Hornet. The final walk up to the top was just a “stroll“. 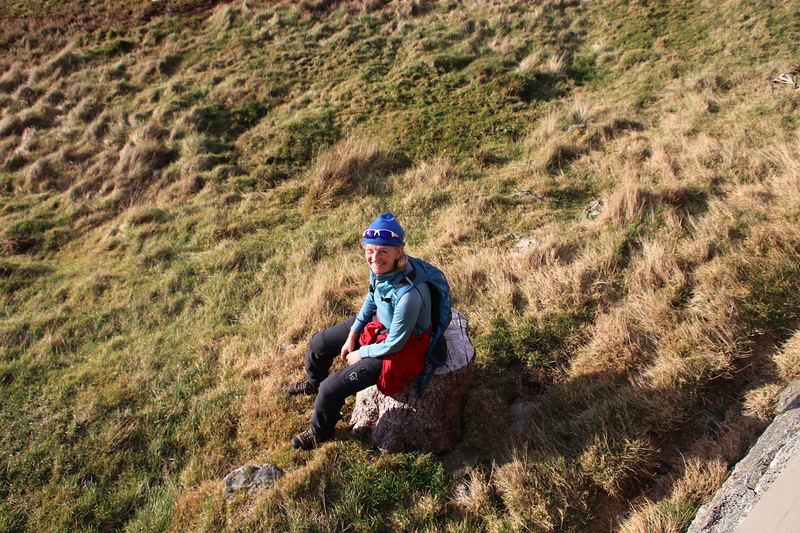 Anne really enjoyed this route, and I hoped she would enjoy the descent route also. 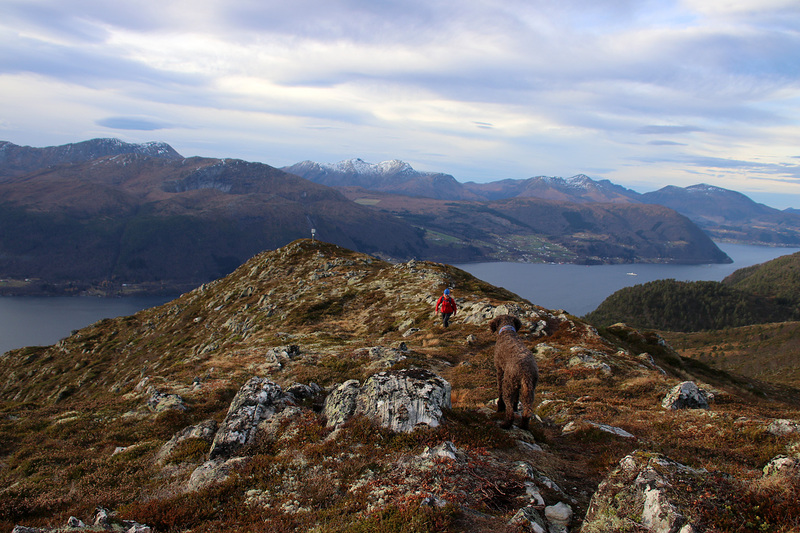 From the top, we descended (rather steeply) east to the pass between Hornet and Skarphornet. From the pass, we went (off-trail) south until we met the path from Vassteinsætra and followed this path all the way to the Vassteinen farm down by the old road. 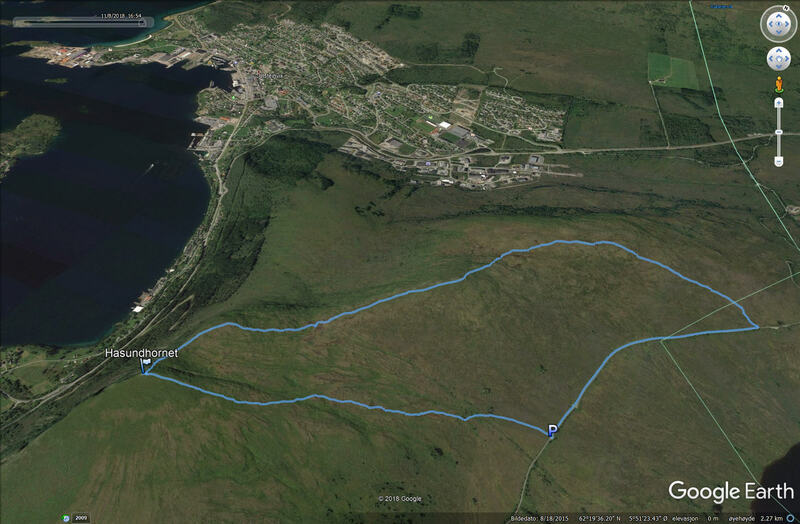 From here, we had only 600 meters to walk back to the car. 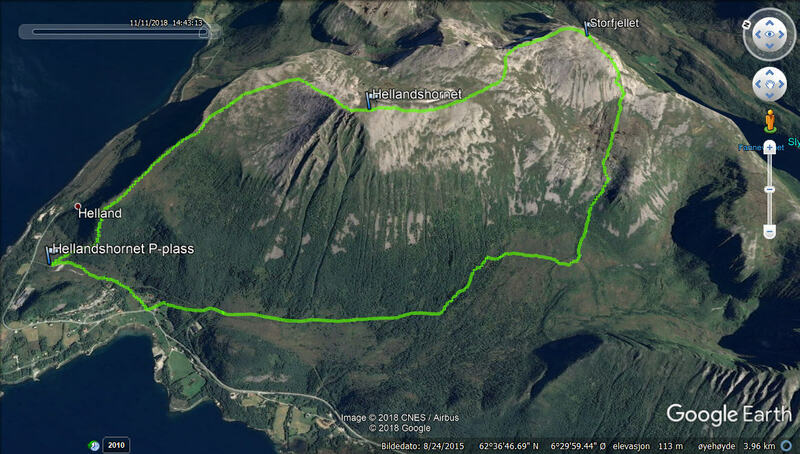 Anne agreed that this was perfect round trip hike! 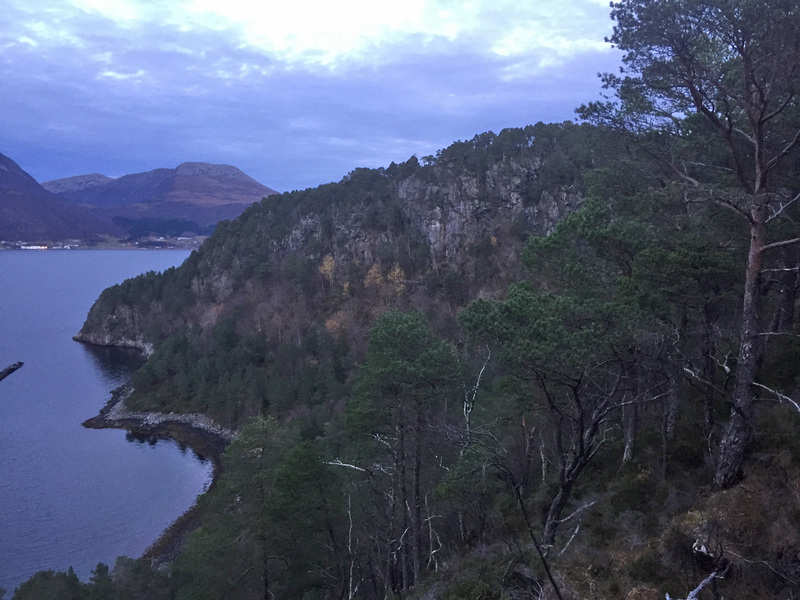 So, I drove to Helland (outside Brattvåg) to revisit some mountains I frequently visited during my years in Ålesund (2006-2008). At least, I would go to Hellandshornet. Then, time would show. 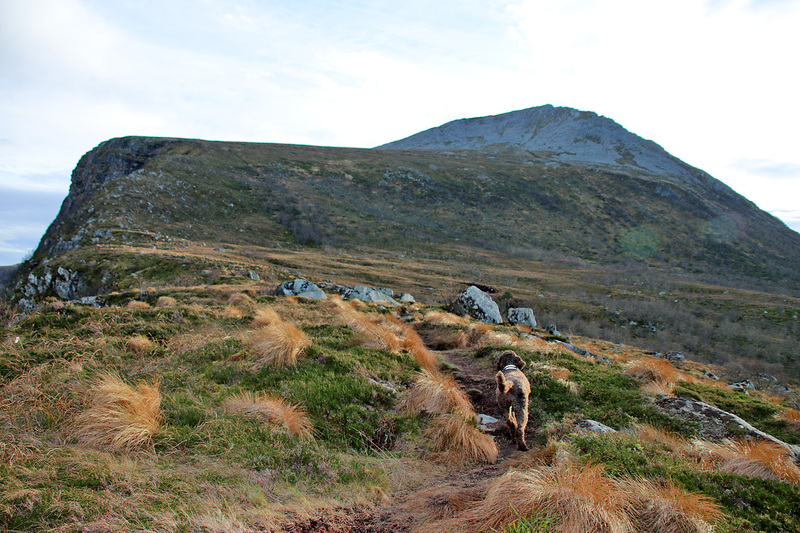 Karma and I headed up the route along the northwest ridge. I had forgotten almost everything about it, so it was nice to be back. 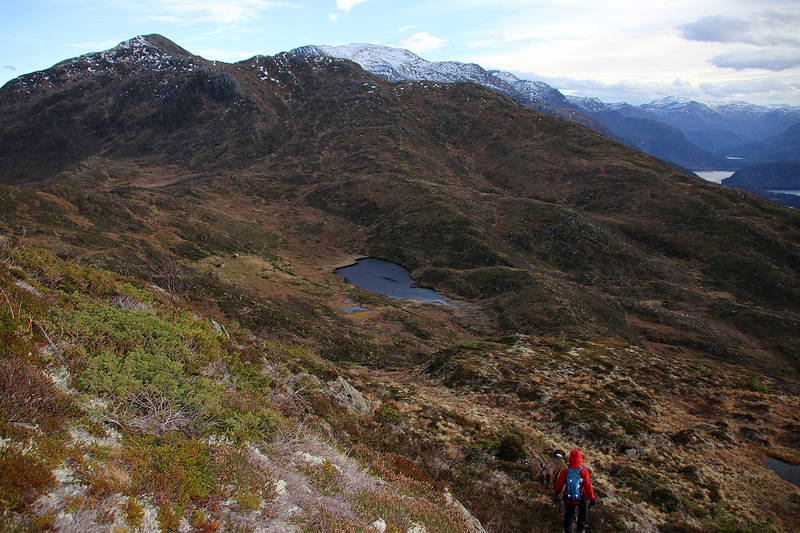 It’s a good push from ~30m above sea level and up to 883m. 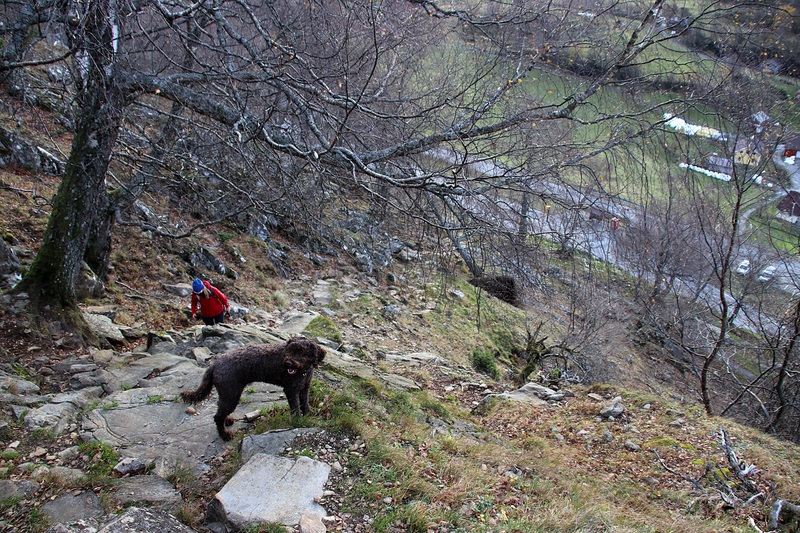 Fortunately, we both are in a reasonable shape, and kept a good pace up the mountain. 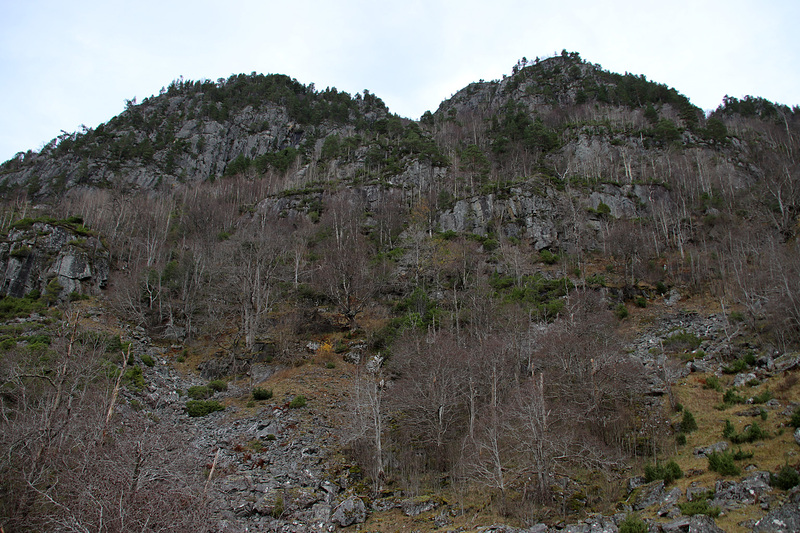 I could see other hikers, high up on the mountain, like small dots. Amazingly enough, we caught up with them in the last hill and passed them in something like felt like “blizzard speed”. At first, we arrived at a stone shelter. 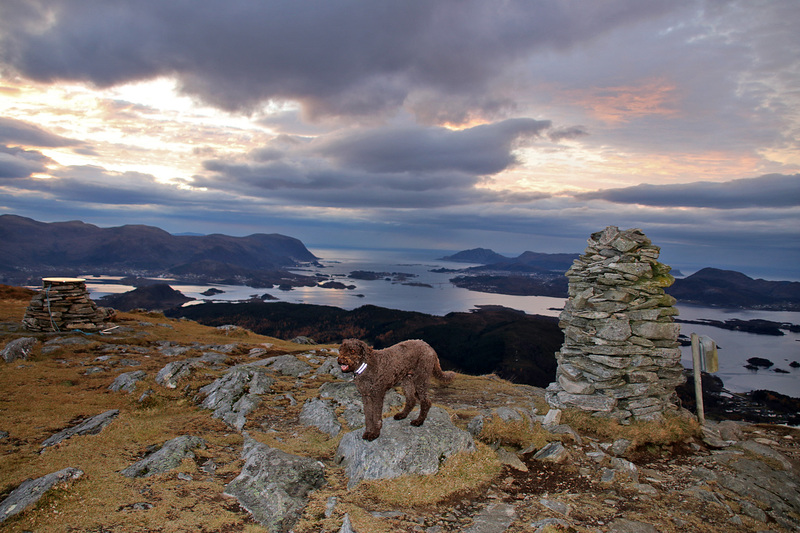 But as this wasn’t the high point, we moved on to very true top of Hellandshornet. 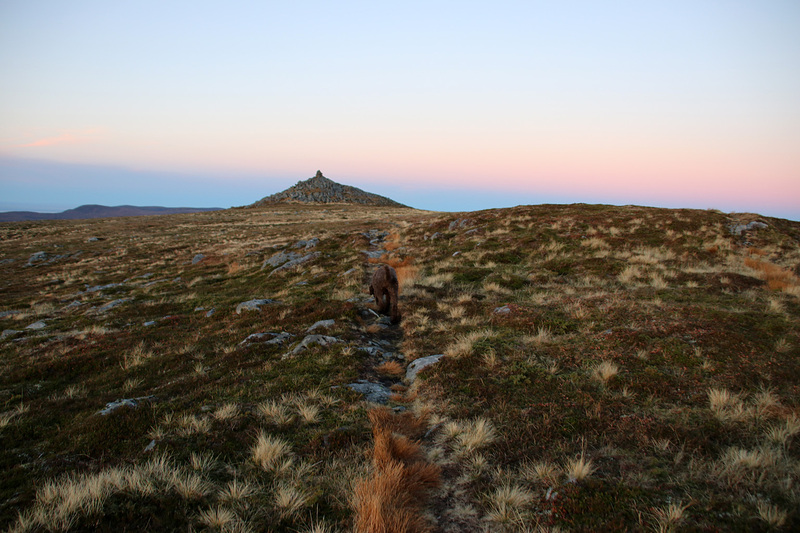 From the top, I could see the other hikers arriving on the summit plateau. I didn’t really have a plan other than visiting Hellandshornet. 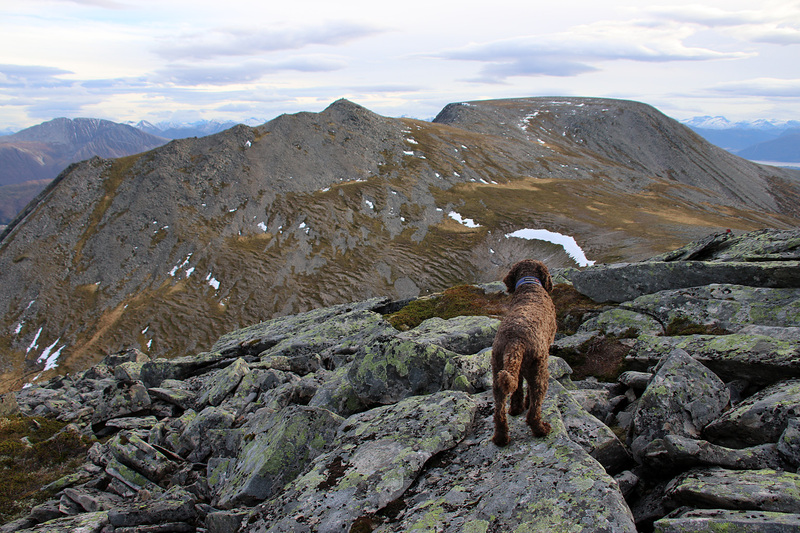 But now that we were here, and had time on our hands, it only felt natural to continue to Storfjellet and descend via Ringstaddalen valley. 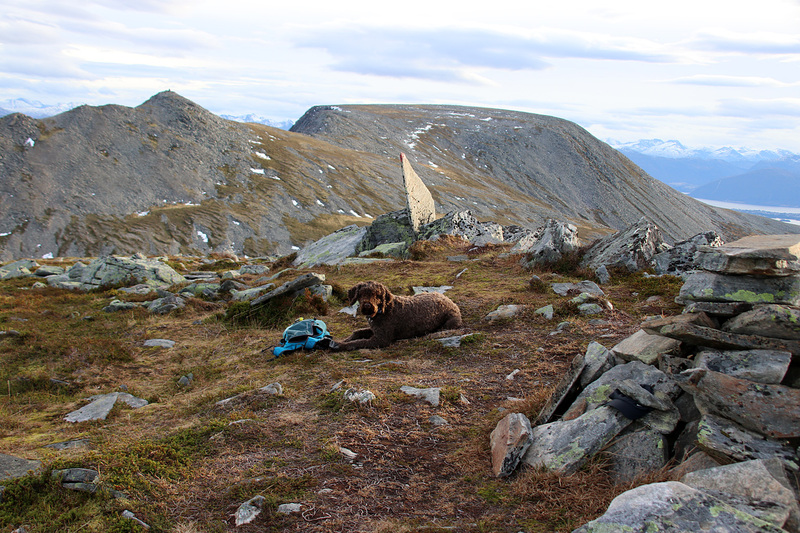 We had a nice walk over to Storfjellet. I decided to skip Keipen (916m) as this isn’t a very prominent top. 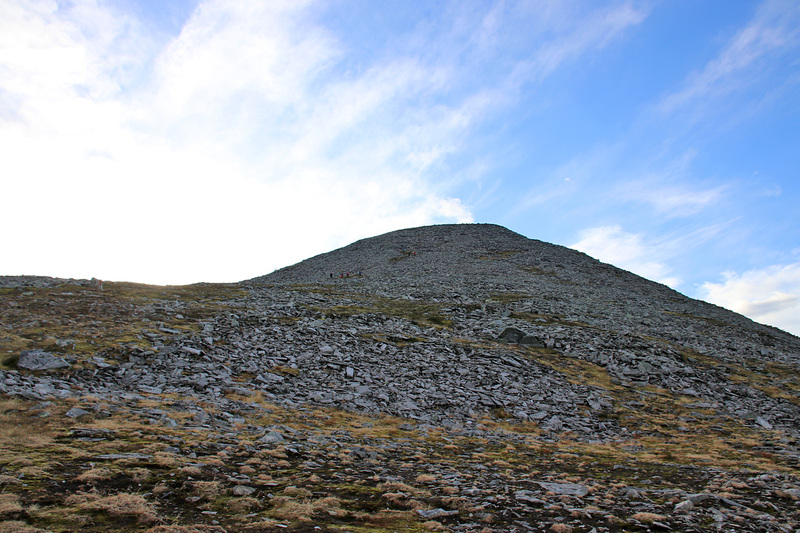 Once we entered the VAST summit plateau on Storfjellet, I remembered how huge it was. 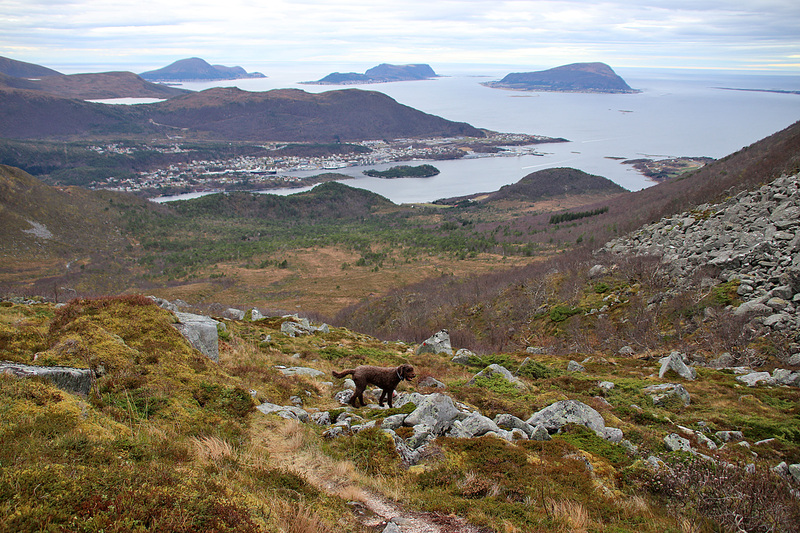 And then I recalled my last hike up here – on May 17th (Norway’s National day) in 2008 – with my former dog Troll. 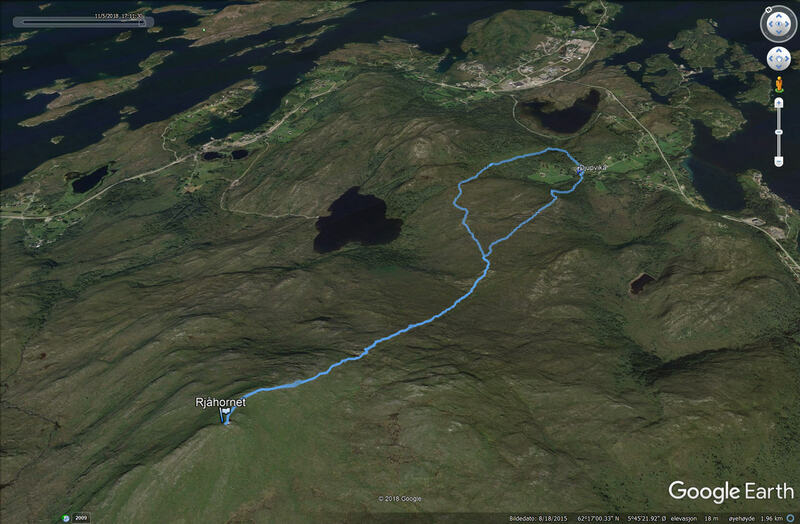 I could see that the other group of hikers descending directly from Hellandshornet to Ringstaddalen. I met them again on the path leading down to the valley. One of them made a comment about me being in a hurry, and I completely understood that it could seem that way. But I don’t think I saw any LESS than they did. 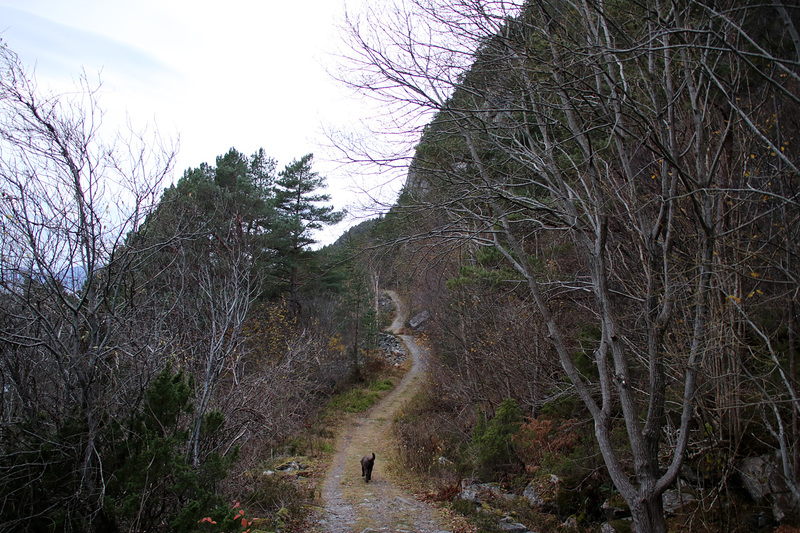 As we were closing in on the main road down by the fjord, I noticed a path going in the direction of my trailhead. So I decided to stick to it. 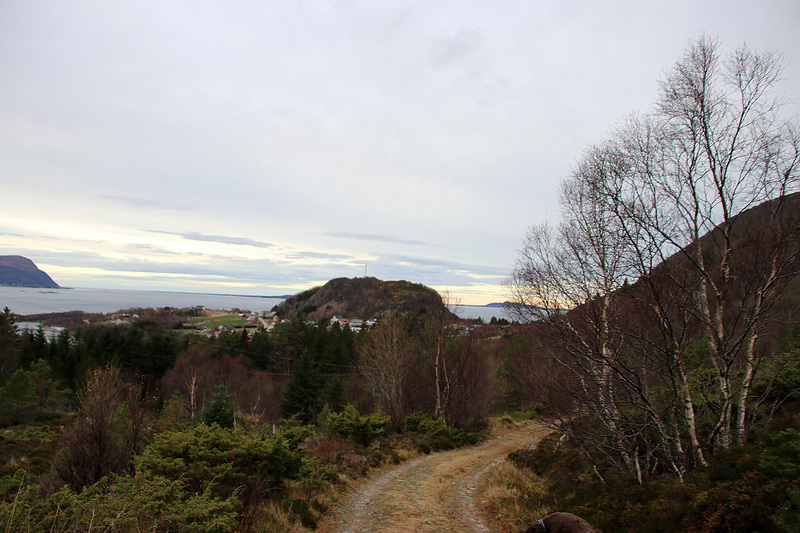 The path took me down to Hellandsvika, from where I immediately headed up towards the uppermost houses. 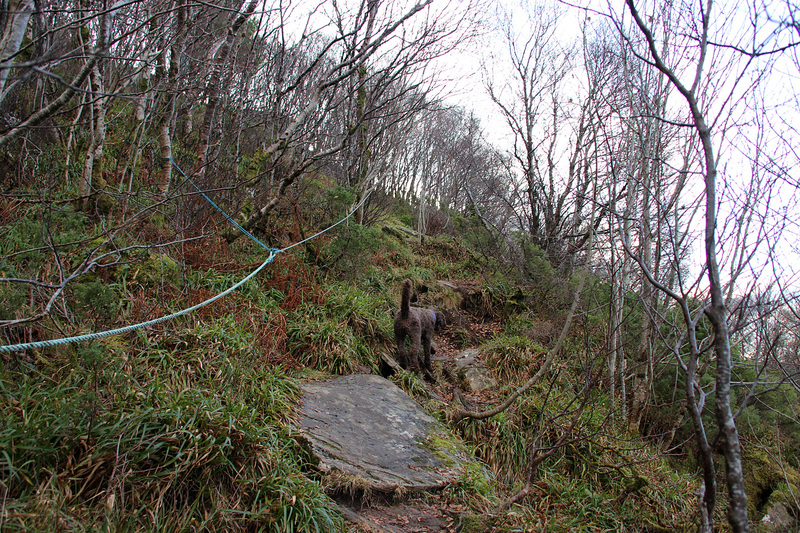 After a little while, I found a vague path that took us back to the car. 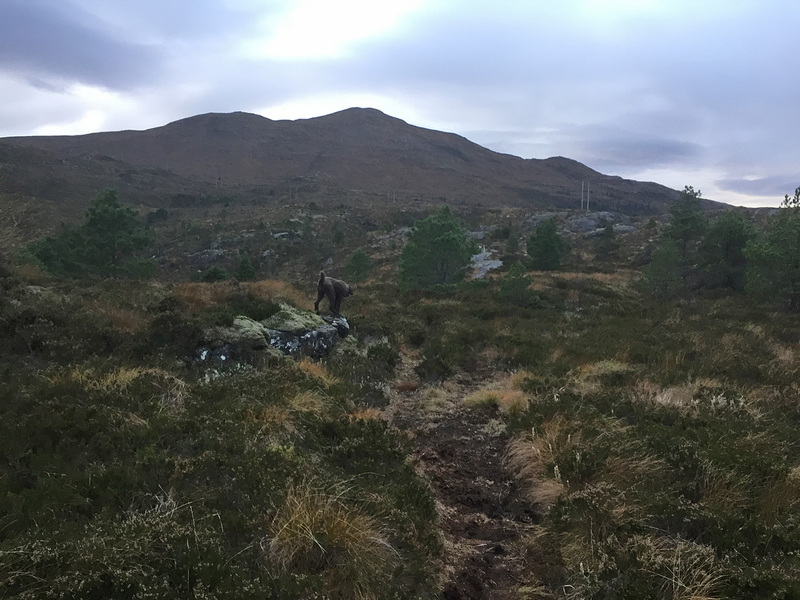 It was altogether a superb round trip hike! 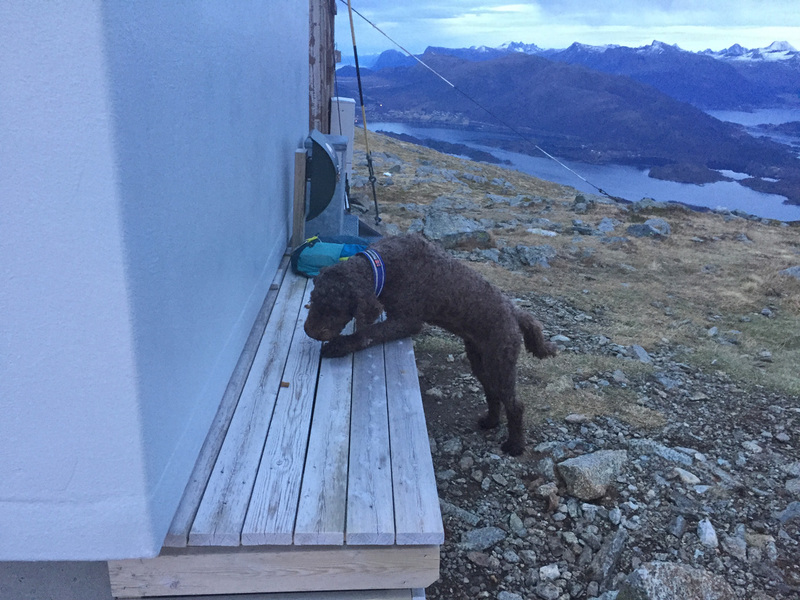 It looks like you have been hiking non stop! Also, you have some really nice photos!